Grand Station is the perfect venue for your event. Grand Station is the epitome of timeless elegance, combining modern style with grandeur and decadence. 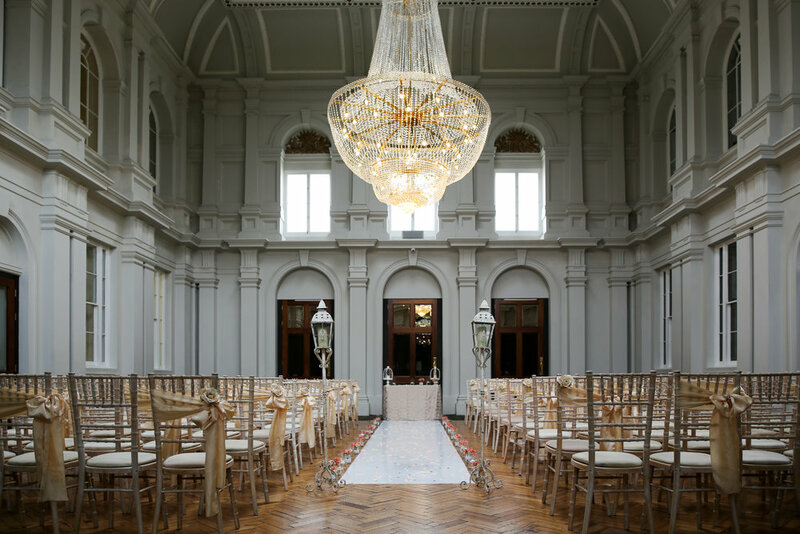 With its own dedicated entrance hall and stylish yet timely function rooms, we are able to accommodate all wedding parties and licensed to conduct Civil Ceremonies. Our stunning entertainment spaces and romantic setting form the perfect lavish wedding - whether it is an intimate ceremony or an exquisite reception. Our Grand Hall can accommodate up to 750 guests.Originally the old station platform, our Grand Hall has been transformed into a versatile event space which can be made to suit your requirements. Our Brunel Suite can accommodate up to 150 guests. Allow your guests to be fully involved in the celebrations, with beautiful original features, our Brunel Suite is the perfect space for a smaller number of guests.